Sheltered amidst the hilly woodlands of North Goa lies the isolated and quaint village of Socorro. It once formed part of the communidade and the larger village of Serula. Serula has since broken up into a number of villages of which Socorro is one. It is named after its parish Church Built in 1667, the ‘Nossa Senhora de Socorro’. A walk through the neighbourhood observing Goan life and houses that display an agglomeration of architectural styles and influences is reflective of a typically Goan feel. The houses of rich landlords had high plinths with grand staircases leading to the front door or the balcão.This is the most important feature of the Goan house and resembles a porch and functions as an outdoor living space to sit down and chat or catch the evening breeze.The front door typically leads to a foyer which then either leads to the sala (the main hall for entertaining a large number of guests) or the sala de visita (a smaller hall for entertaining a small number of guests). In instances of two storied houses a flight of stairs would lead one to the bedrooms typically placed above. Akin to the history of the village, the client envisioned a large plot of land be broken up into 5 sites, each to have homes possessing their individual style yet woven together to reflect a quintessentially goan identity. Being adjunct to the forest preserve, the site we were given out of the 5 hosts a large concentration of indigenous flora and fauna. The land has been handled with extreme care to make the development relevant to the setting and preserve the essence of the verdant acreage. 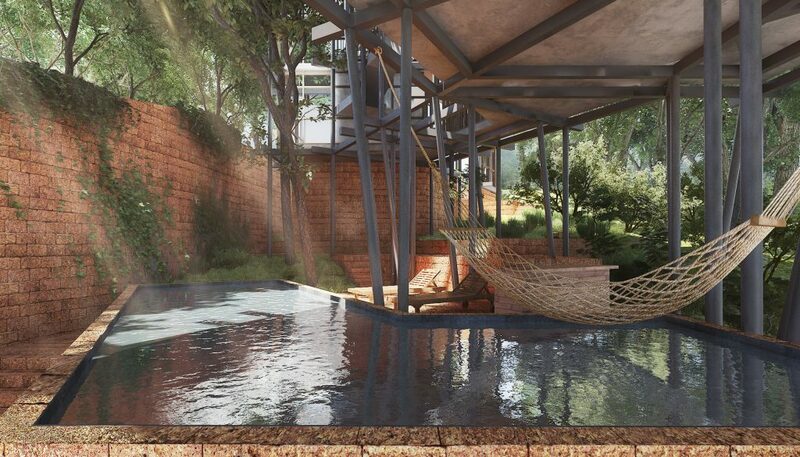 The footprint of the villa was traced out of the space left between the canopy and critical root zones of the cashew, mango, palm and jungle treesspread on the steep site. Keeping in mind the proximity and volume of adjoining developments, we decided to raise our structure on stilts thereby rendering minimal disturbance to the forest floor. 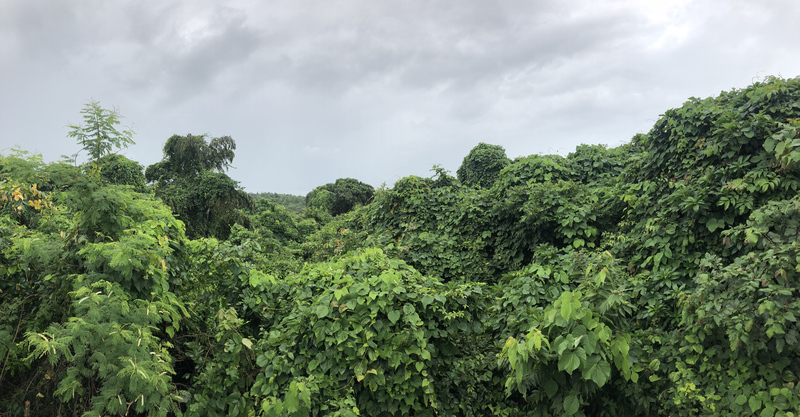 The only visible volumes of the development are restricted to the lower level below the dense canopy cover envisioned in laterite as a continuation of this local red rocky outcrop spread over the site. 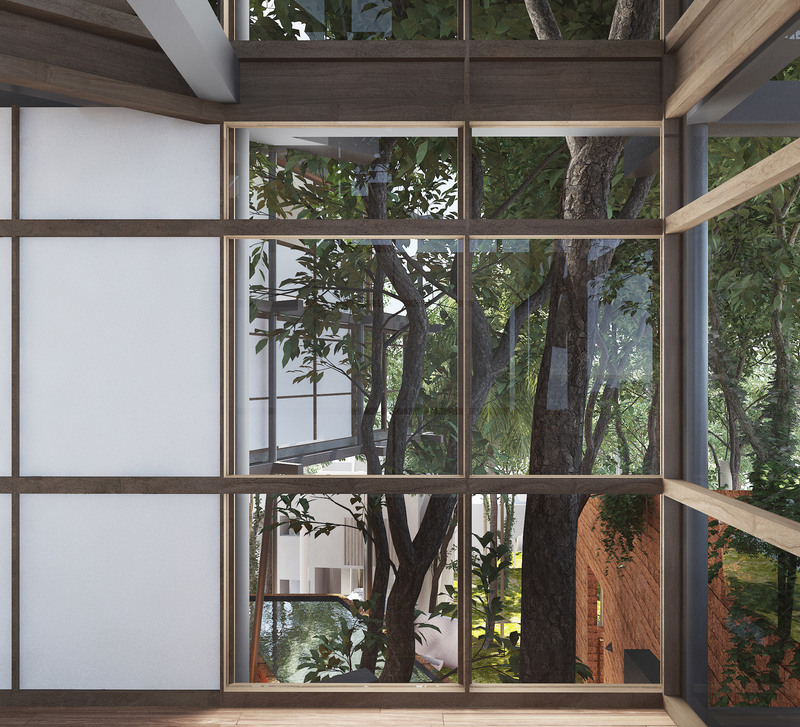 The glazed façade of the upper floors allows for a seamless yet protective connect with the surrounds. 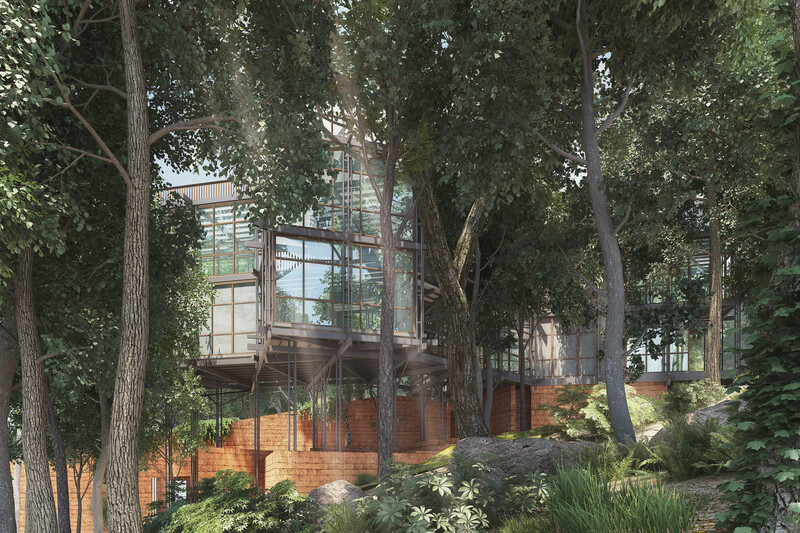 The dense canopy cover forms an additional layer of comfort protecting the villa from the harsh sun and heavy rains. The layouts of the home were modelled to reflect the traditional Goan style and thus creates an ideal realm for living in close connect with its surroundings.